When it comes to e-commerce, picking the right platform to power your store is a difficult choice. Whichever one you go with needs to be robust and feature-filled, so where are you supposed to begin looking? If you’re a WordPress user, you’re in luck. You’ve got plenty of tools at hand to set up an online store using the platform, and we’re big fans of one in particular – WooCommerce. 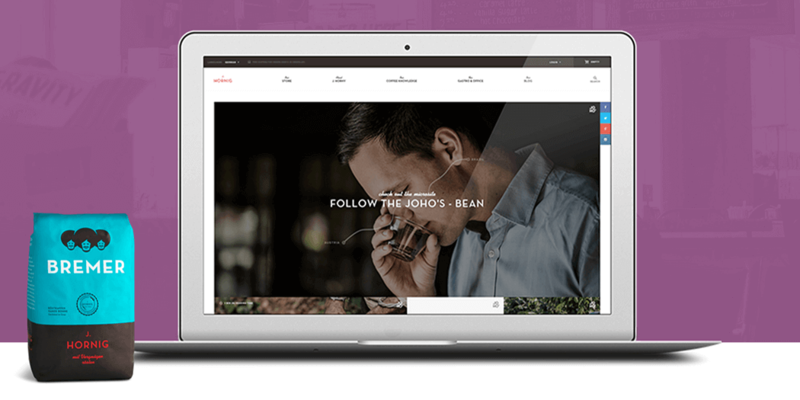 In this article, we’ll give you a crash course on what WooCommerce is, how it’s evolved over the years, and most importantly, what it can do. Then, we’ll guide you through the basics of its setup process. WooCommerce is an e-commerce platform built on top of the WordPress Content Management System (CMS). Instead of building an entire platform from scratch, WooCommerce just adds the functionality that enables you to sell stuff online. Best of all, it comes in the form of a lightweight plugin, so setting it up should be simple for experienced WordPress users (we’ll get to that later). The plugin is only five years old, which makes its massive user base all the more remarkable. By 2014, the plugin had already cornered 17% of the e-commerce market and garnered enough attention to warrant its own conference. A year later, WooCommerce was acquired by Automattic – the same team behind WordPress itself – cementing its spot in the community. In five years, WooCommerce has managed to expand its reach to approximately 30% of the market and shows no signs of slowing down. The plugin is a great fit for first-time online store operators and even businesses with greater requirements. Thanks to its extension system, you can add or remove advanced functionality as needed while avoiding bloat. 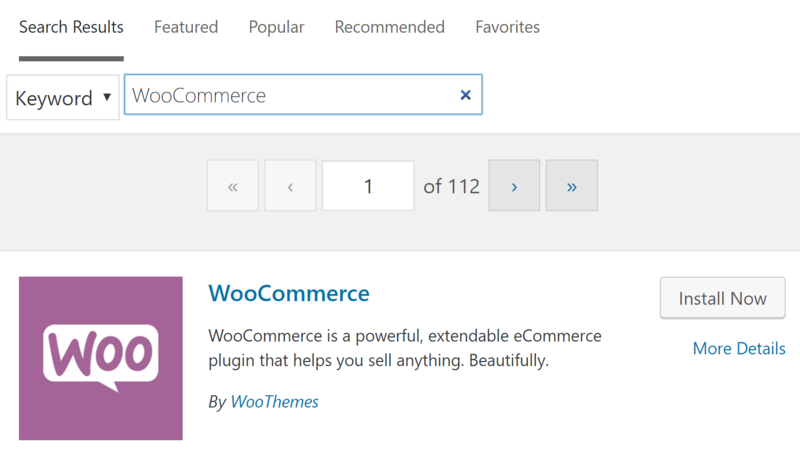 To put it simply, extensions are to WooCommerce as plugins are to WordPress. There may not be as many of them, but they tend to be high-quality and include robust documentation. All in all, there’s very little you can’t do with WooCommerce when it comes to setting up an online store. Now that we’ve covered the basics, it’s time to talk about the key features the plugin offers, and then, we’ll take it for a spin together. WooCommerce is a powerful WordPress plugin that enables you to set up an online store using WordPress. It includes all the essential features every online store needs, including shopping carts, payment gateways, and a streamlined checkout process. On top of that, you also get access to advanced features such as tax management and a comprehensive extension system. Best of all – at least in our books – WooCommerce is an open-source platform, with hundreds of people working on improving it at all times. That means it’s only likely to get better with time. Enables you to set up online stores on top of WordPress. Sell both physical and digital items. Receive payment through several payment gateways, depending on your choices. Enables you to extend the platform’s functions using extensions. Integrate various shipping options through extensions. Automatically add taxes to your prices. 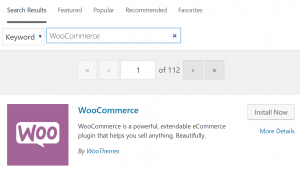 The WooCommerce plugin is free, but running an online store is not without its costs. You will need to pay for suitable hosting with strong security practices and fast loading times if you want your store to succeed. Secondly, costs can quickly add up for WooCommerce owners if they want to add extensions to their stores – in most cases, they don’t come cheap. If you want to go a different route, you can also accept several types of offline payments, including checks, bank transfers, and even cash on delivery. We’ve already set up pages, payments, shipping, and taxes, which is pretty much everything you need to get your store up and running. Give yourself a pat on the back and then go set up your first product. 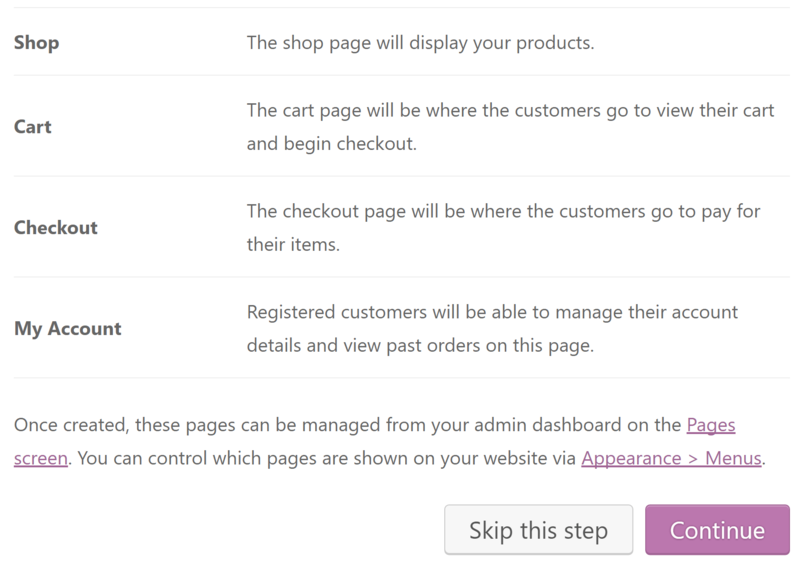 Then, check out the rest of WooCommerce’s extensive documentation to figure out how to configure even more advanced features. A lot of factors go into the decision of which e-commerce platform to use. It’s definitely not a choice to be taken lightly, but if you’re a WordPress user, you can save yourself a lot of head-scratching. As far as we’re concerned, WooCommerce offers a sound foundation for online stores of any type. 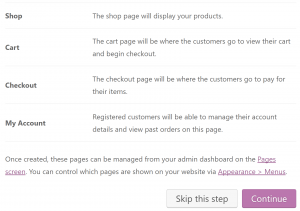 Do you have any questions about the process of setting up a WooCommerce store? Ask away in the comments section below! You may also want to consider a Managed WordPress Hosting solution for your WooCommerce store.